Ever wonder exactly what you can view with a high power biological light microscope? This chart is helpful in determining the size in microns and relating it to objects that can be seen both with the human eye, and with a microscope. 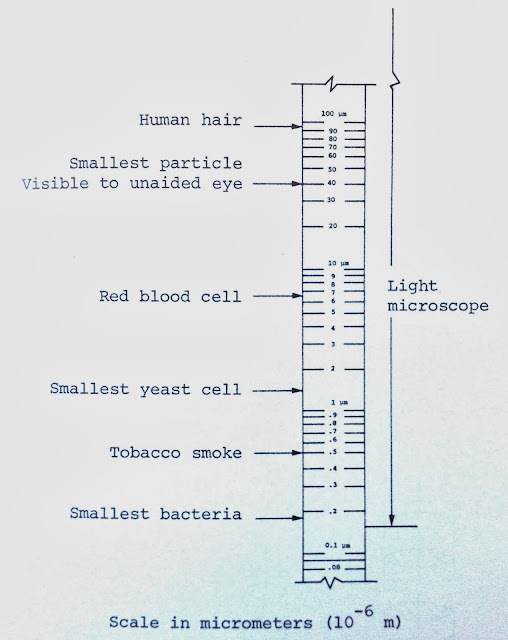 Light Microscope viewing chart courtesy: "Special Methods in Light Microscopy" by Robert B. McLaughlin. Let's take a look at the chart starting at the top (with the largest objects) and working our way down. Human hair is about 95um in size, and can be seen both with the human eye, and under the microscope. 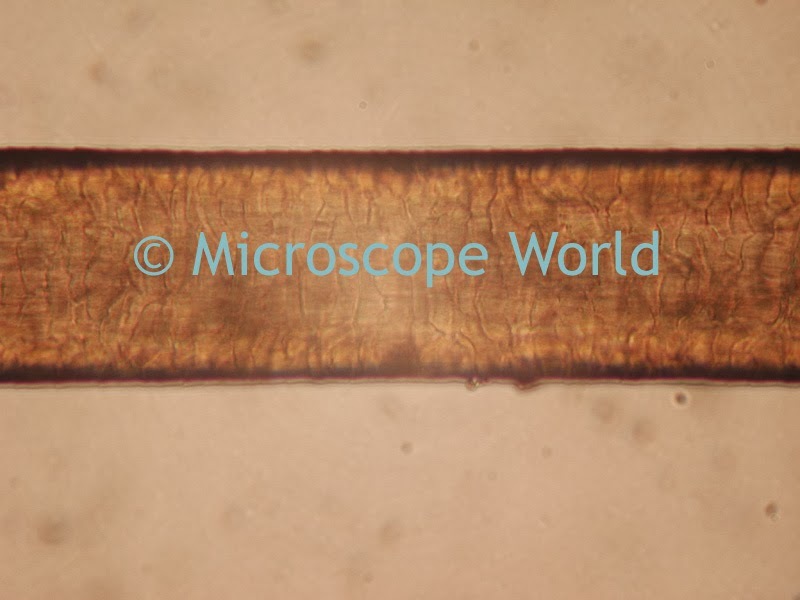 Single human hair captured at 1000x magnification using a student microscope. Any particles less than 40um require a microscope for viewing. 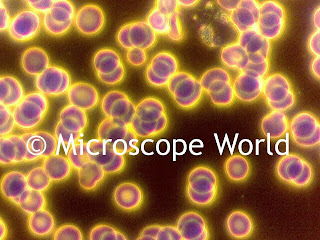 A red blood cell is about 6um in size and requires 400x magnification for optimal viewing. Blood cells captured using darkfield on a phase contrast microscope. 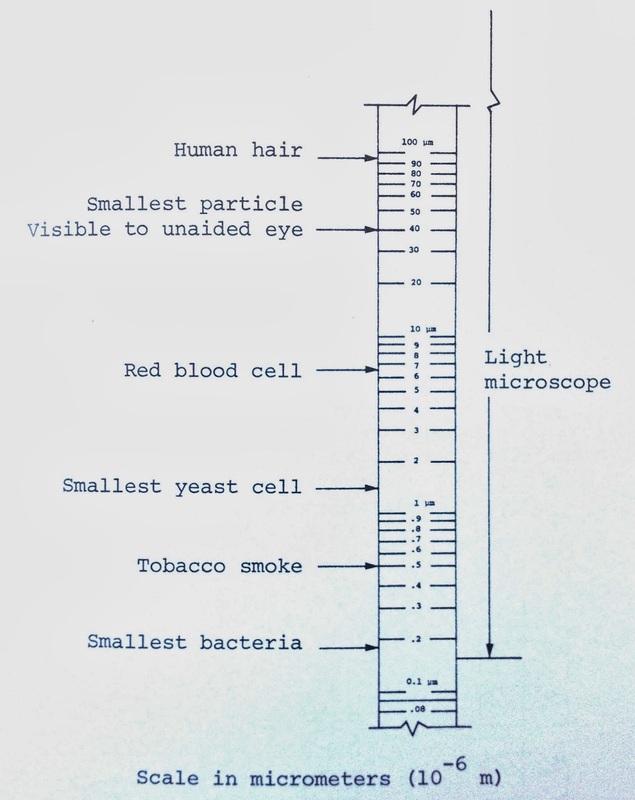 A light microscope allows the viewer to observe particles down to the smallest bacteria. Particles under 0.1um in size require a scanning electron microscope for viewing, as a light microscope would not provide proper resolution.